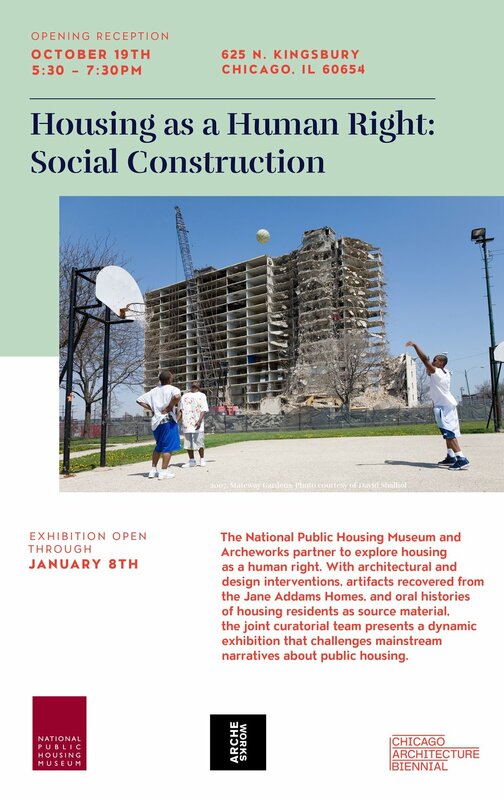 The exhibition, which features ordinary objects from public housing residents from across the city that share with us amazing stories of personal endeavors, as well as commemorating those that were most important in shaping their lives. The objects are also described by the residents themselves, giving visitors their first-hand account of how these various items played a part in their day to day lives. The labels were created during writing workshops with Audrey Petty and Nate Marshall or during interviews with Rich Cahan. Join us for a Free Dinner and Conversation with Ben Austen, alongside Cabrini-Green activists for the new book High Risers: Cabrini-Green and the Fate of American Public Housing. Moderated by Audrey Petty, author of High Rise Stories: Voices from Chicago Public Housing. Additionally, NPHM is starting a book club as part of our mission to preserve and propel housing as human right. High Risers will be our first reading. If you are a public housing resident and you would like to join, you will receive a free copy of the book at the event on February 20th! Book group will meet in March dates to be determined. Email: info@nphm.org to reserve a free copy. The Power of Collective Action: How public housing resident leaders and housing authorities nationally are creating a pilot exchange program with a focus on Section 3 and resident owned businesses. This event is taking place at 6500 S. Pulaski Rd. Displaced people around the world are forced to make difficult decisions about what they take and what they leave behind. This is true for diverse communities from the Baltic states to the public housing developments of Chicago, where individuals have organized to rebuild a new sense of home. Join the National Public Housing Museum and Balzekas Museum of Lithuanian Culture for a pop-up exhibition that invites participants to share stories about the loss of home due to political, economic and social upheaval, and the objects that give meaning to their lives. 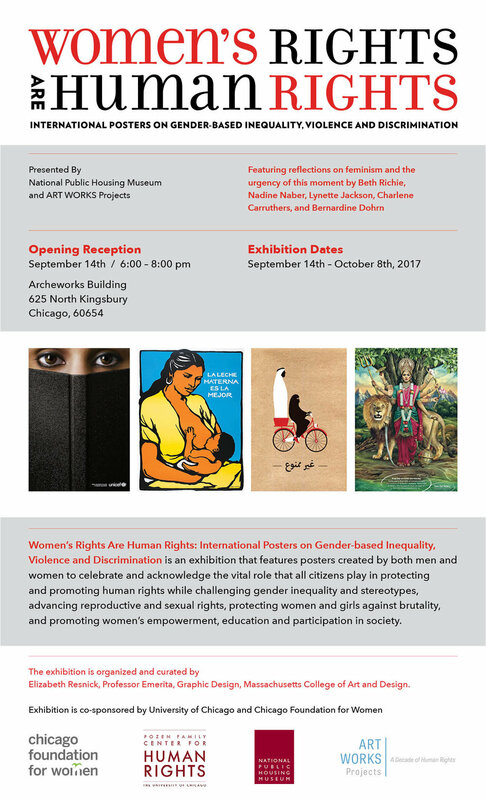 This program is a part of the Chicago Cultural Alliance's Inherit Chicago. Inherit Chicago is a city wide festival of art, ideas and performance at neighborhood heritage museums and cultural centers. Head to InheritChicago.org for a full list of events! NPHM Photo Credit: Archives of Keep Strong Publishing Company, Circa 1977. Courtesy of Helen Shiller. Join us and the ACE Summer Design team for the unveiling of an installation at the future site of the Museum. For the past eight weeks, under the guidance of ACE mentors and in collaboration with NPHM, students from Chicagoland high schools have been designing a project that anticipates the opening of the Museum and extends to the surrounding community a glimpse of what is to come. During the construction of the Museum this project will be displayed. This upcoming Friday, August 11th from 10:30 to 11:30am, @ 1322 W Taylor St., there will be an unveiling by the students, as well as an awards presentation. As we build a strong community within and for the museum, we understand that often young people are at the forefront of these efforts and issues. This project will showcase just that. If you haven't already seen this amazing play Join us to experience The Project(s) ! Over the last few weeks American Theatre Company's Youth Ensemble has presented an abridged version of The Project(s), a critically-acclaimed documentary play on Chicago's public housing conceived, co-written and originally directed by ATC's late Artistic Director PJ Paparelli and co-written by Joshua Jaeger. The Youth Ensemble will present it's last showing of The Project(s) followed by a talkback with the National Public Housing Museum July 23rd. As part of our ongoing partnership with ATC, National Public Housing Museum staff and interns will lead interactive talkbacks after the Sunday matinee performance at 2 PM. In preparation for this year's production, the Youth Ensemble has met with former public housing residents and historians interviewed for the original production, many of whom are featured as characters in the play, in order to bring their powerful testimonies to life. We're excited to announce our follow-up program to After the Plan program in January which will work showcase the experiences of public housing residents and their families affected by the Plan for Transformation. Space is limited, please RSVP HERE! On Thursday, May 14th, the NPHM is pleased to hold its spring fundraiser at the American Theater Company's production of The Project(s). Combining theater, music, and movement, The Project(s) celebrates public housing communities and asks what responsibility we have to others, no matter their economic circumstances. From 2010 until 2014, Artistic Director PJ Paparelli conducted over 100 interviews with scholars, historians, and former and current residents of Chicago's public housing, including Cabrini-Green, Robert Taylor Homes, Wentworth Gardens, and Ida B. Wells Homes. To read more about The Project(s), be sure to read the recent press from Next City and the Chicago Tribune. On May 14th, supporters of the National Public Housing Museum have the opportunity to view The Project(s) with other Museum friends as a part of the NPHM's spring fundraiser. For more details on the May 14th fundraiser showing and to purchase tickets, click HERE. If you're a resident or you know a resident who would like to attend The Project(s) for free, either on the night of the fundraiser or another showing, please contact the Museum at 773.245.1621 or email Camille Acker at cacker@nphm.org. Thank you for those who attended Creating the Inclusive City. The conversation was both dynamic and thought provoking and can assure all us that Chicago's cultural and community leaders are tackling the lack of investment in the public sphere. We came away with lots to consider and hope others did as well: the meaning of "Division," from the street in the city of Chicago to the implementation of divisions with populations escaping to the suburbs, to how we isolate youth from making art and being themselves. Ultimately, we were provoked to ask how to define public spaces more accessibly and equitably as places where all kinds of others might feel more "at home." It was a great night and we look forward to hosting everyone again soon in our space! Public housing in the United States endeavored to help the least fortunate among us become part of broader American society. Politics of inclusiveness have been undermined by cultural, economic, and political shifts. The public sphere has suffered from a lack of investment in housing, green space, transportation options as well as in arts and culture. Join NPHM as we share some of the many ways Chicago's cultural and community leaders are confronting these sobering trends through concrete, inclusive action. Artists, policy makers, non profit leaders and everyday citizens will present on their projects and initiatives and share their ideas for making a great inclusive city. Join NPHM in conversation with Miguel Aguilar (Washington Park Arts Incubator), Adrienne Brown (University of Chicago), Irina Zadov (Hull House and Chicago Home Theater Project), Sam Spitz and Teddy Williams (Groundswell Films) and Sandra Sosa (Chicago Area Project). It's an evening to share how these cultural and community leaders in Chicago are confronting sobering trends through concrete, inclusive action. Come and join in a discussion inspired by the panelists' projects and initiatives -- and share your ideas for making great and inclusive cities.